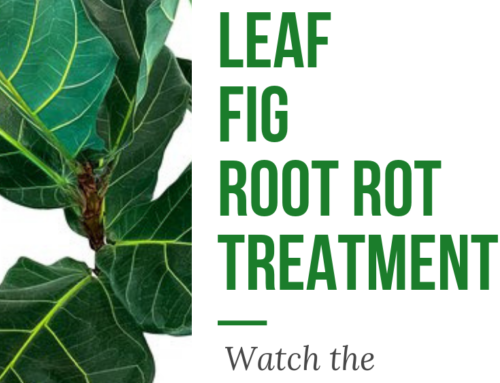 Our Fiddle Leaf Fig Tree Resource Group on Facebook is growing every week. 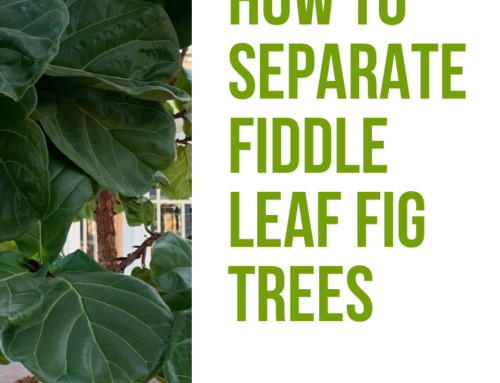 Our members are full of fiddle leaf fig care tips and tricks. One expert that shares her insights is member Alessandra Pham. 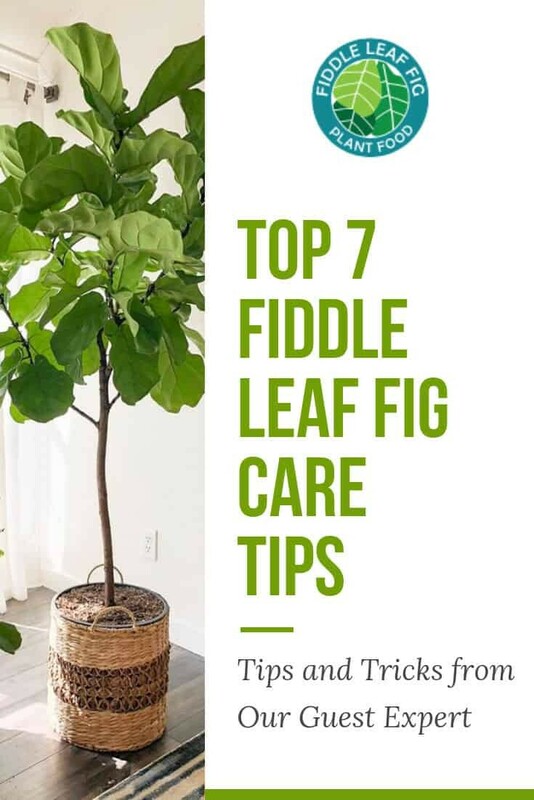 She was kind enough to put together a list of her fiddle leaf fig care tips for us to share! This is how I take care of my babies and all my little tips and tricks. 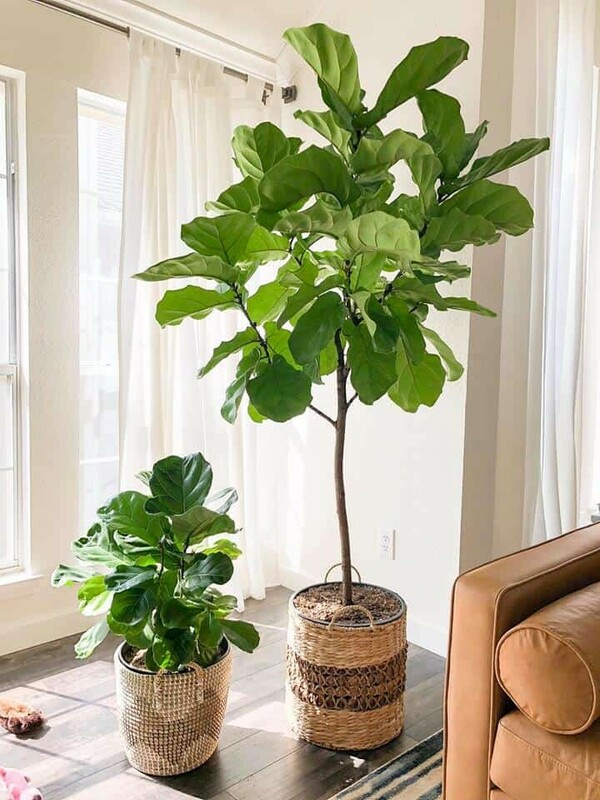 A little note though, I do keep my fiddle leaf figs inside all year as indoor houseplants so I can only share with you my experience with this type of care. Bright indirect light in the warmer months and direct light in the colder months. Generally, keep your plant in a bright room (I keep mine in a room with southwest facing windows) at least 2-3 feet away from windows to minimize the possibility of any cold drafts/intense heat. You can acclimate these plants to receive direct sunlight but do so gradually. If you see leaves turning yellow at all, that’s a sign your plant is receiving too much sunlight and you should back it up from the window a bit more. These plants don’t like soggy or wet soil so make sure you have drainage holes on the very bottom of your pot and not just the sides. I suggest double potting these babies (meaning planted in a plastic pot placed into a decorative pot/basket) since proper drainage is key. For my bigger FLF I had to drill holes on the bottom because it only had side holes, which was insufficient. Found this out when I tipped it to the side and a fairly good amount of water came out. I used to stick a moisture meter into the soil to check the levels before watering but I found that to be inconsistent. Keeping things simple, all I do is stick my finger two inches down into the soil in a few spots to see if it’s still moist, if wet, don’t water. If a little moist but dry at the top, wait another day or two. When all two inches of top soil is dry, water in the morning so it will have time to absorb sun and dry out throughout the day (to avoid root rot). Tap water from your shower or garden hose is fine, BUT if you are able to collect rainwater, that is the best in my opinion. Get a 30 gallon plastic trash bin with a lid (important to keep mosquitoes out) to designate as your rainwater barrel! I use rainwater to water all my plants. These bins are also way easier to keep clean rather than the actual 65+ gal rain barrels (my mom has one, trust me it’s a pain). You can either choose to do: a) more water less often, or b) less water more often. I personally choose to do more water less often. Use enough water to drench the entire pot several times, watering slowly and thoroughly, until water comes out of the bottom for about 5 minutes. Don’t be afraid to wash the leaves at this time and use the water stream to give your plant some exercise (strengthening the trunks). So shoot the water over, under the leaves, everything and make them move lol. I personally carry my FLFs outside for watering. I soak the base with rainwater that I’ve collected several times until water comes flowing out of the holes and then wash the leaves with my garden hose. Let it sit for about 15-30 min to drain completely. Use towels to soak up any excess water from your pot and place the pot back into its place in your home. I go the extra step of tilting them to the side a bit to check for standing water inside the plastic pot and let that drain out. I protect my baskets by lining them with a plastic bag just in case. 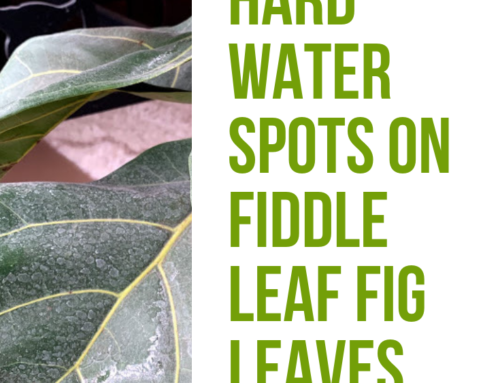 I use the Fiddle Leaf Fig Plant Food every other watering. Over-fertilization can cause plants to grow leggy and even kill them, so be careful with this and pay attention to how your individual plant reacts. My babies just love Claire’s food and they do best with it every other week or so. Remember to replace the top several inches of soil with a nutrient-rich layer once every year. Remove bad foliage if you have enough healthy leaves since you want your plant to save their energy for new healthy growth. I had some older lower leaves on my big fiddle leaf fig that were slightly bruised so I clipped those off with clean pruning shears to encourage new growth. In two weeks, I had new buds coming in! You can also pinch the top “flower” bud to encourage growth, which I’ve done with my little one multiple times. Notching (making a small cut above the node where leaf meets the branch) can also encourage more outward branching instead of just upward. 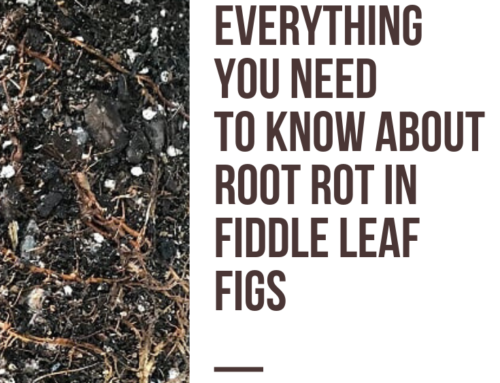 Fiddle leaf figs like to be more root bound so only repot when you see roots growing out of the drainage holes. When they’re younger, this may be once a year, and definitely less often when they’re more mature. Early spring is the best time to repot with a high quality potting mix, either indoor potting mix or cactus mix would be fine. I’m super scared of root rot so I chose the cactus mix route for faster drainage. I don’t mix with perlite or anything to keep things simple, I just use the mix on its own, no rocks at the bottom, no additives. Be careful not to pack the potting mix too tightly with your hands (I’ve made this mistake in the past), rather tap the container onto the ground once or twice once you’ve filled it for better soil settling. When potting up, choose a pot that is only 2-3 inches larger than your root ball. Mist leaves often to add necessary humidity or you can also get a humidifier. Dust leaves with a damp microfiber cloth at least once a month to help leaves absorb as much light as they can to photosynthesize properly. Take this time to inspect undersides of leaves and inside the brown flaps along the stem for any bugs. I had mealy bugs on my little one and immediately treated her with a ready to use neem oil insecticide spray. It’s important to spray to run off, meaning it has to be enough on the plant that it starts to drip off. Leave this spray on for about 10 min and wash off thoroughly with water. She’s fully recovered from this episode after one treatment. 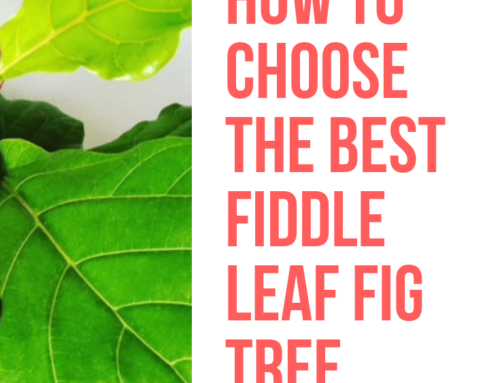 Thank you Alessandra Pham for your fiddle leaf fig wisdom!